For Mother’s Day, Give a Manatee! 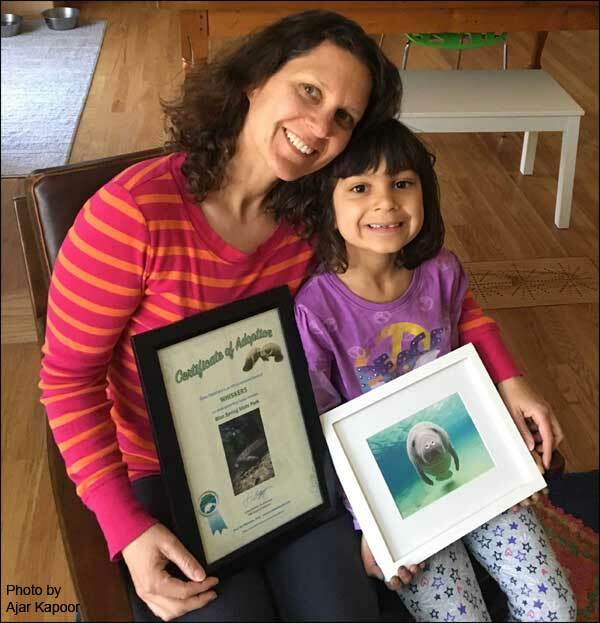 Note: A high resolution jpeg (300 dpi) of a manatee image, a photo of Priya and her mom, and a photo of the handmade collectible manatee ornament, are available upon request. Gina Marie Febbraro was delighted to receive a manatee gift adoption for Mother’s Day from her daughter, Priya. Both love manatees! Those looking to create a ‘feel-good’ day this Mother’s Day are encouraged to Adopt-A-Manatee® from Save the Manatee Club! Give a special, caring gift to mom, and at the same time help to protect imperiled manatees for generations to come. A tax-deductible gift adoption of a real manatee for $25 includes a color photo, biography, and adoption certificate, plus a year’s membership in Save the Manatee Club, along with a membership handbook. Receive the official newsletter, The Manatee Zone, four times a year, as well as the Club’s e-newsletter, Paddle Tales, throughout the year. Choose from 34 Florida manatees that can be viewed at the Club’s website. Adoptions at the $35 level or more also include a collectible Mother’s Day ornament. Shipping is free if mailed within the United States. Adoptions at the $35 level or more also include a collectible Mother’s Day ornament. Save the Manatee Club, an international nonprofit 501(c) (3) manatee conservation organization, was co-founded in 1981 by singer/songwriter, Jimmy Buffett, and former U.S. Senator, Bob Graham, when he was governor of Florida. The Adopt-A-Manatee® program was started a few years later in 1984 as a means of raising funds to support the Club’s numerous conservation efforts, which include education and public awareness projects and extensive conservation work to protect manatees and their habitat. Adopt-A-Manatee® for Mother’s Day by visiting Save the Manatee Club’s website or by calling toll free at 1-800-432-JOIN (5646). 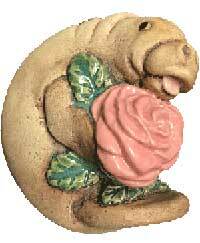 Shop the Club’s online catalog for more gift ideas for mom at shopsavethemanatee.org. Follow the Club using Twitter, Facebook, Pinterest, and Instagram. Check out manatee videos on YouTube. Note: A high resolution jpeg (300 dpi) of a manatee image, a photo of Priya and her mom, and a photo of the handmade collectible manatee ornament,, are available upon request. Also, ask for the Club’s new print Mother’s Day public service advertisements, available in three sizes.